Ladbrokes Casino are offering 3 £500 Blackjack bonuses, giving you £1,500 to play on their great choice of Blackjack games, including 18 variations like Switch, Surrender, Pro and the fantastic new All Bets Blackjack, with just 100x wagering required. Bovada Casino are offering new players 3 deposit match bonuses up to &dollar;1,000 each, that you can use on Blackjack with wagering of just 42x! 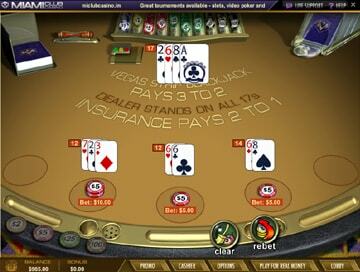 Blackjack is the most popular and well-known of casino card games, and one of the simplest to play. But this simplicity sometimes leads to players looking for something a little different. Rather than directing players towards Baccarat or Tri Card Poker, the casinos have found ways to Keep Blackjack players interested by offering specific variations, each of which offers a novel twist on the game. For example, in Blackjack Switch you're dealt two hands and can switch the top card of each! They've also spiced things up by offering Blackjack Side Bets. These are optional bets that you place alongside your main wager, and which win or lose independently of your main hand. You can place side bets on a pair being dealt to either the player or the dealer, or a three or four of a kind, or if the dealer goes bust - and with what rank of card! Blackjack variations and side bets are taking the game into a new era, and appealing to a new generation of players who want fast-paced action with the opportunity to use skill and judgement, rather than rely purely on luck. If you're getting a little bored with Blackjack, these may be just what you've been looking for! Perfect Pairs (also known as Perfect Blackjack) is a standard version of 8 deck Blackjack, but with the addition of the Perfect Pairs optional side bet. 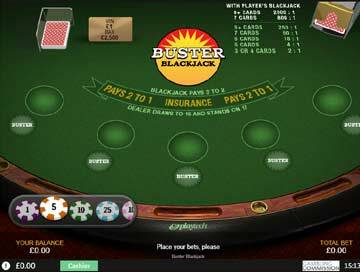 Card values, options to Hit, Stand, Double or Split, and payouts on a win are all the same as in standard Blackjack, as are the 'House rules' i.e. the way the dealer must play their hand. The Perfect Pairs side bet is a bet that your first two cards will be the same, but not necessarily the same suit. NB the Perfect Pairs side bet wins and loses independently of the main bet i.e. is not affected by the dealer's hand. A pair that consists of two identical cards, in both rank and suit. A Perfect Pair pays out at 30 to 1*. A pair that consists of one red suited card and one black suited card. A Mixed Pair pays out at 6 to 1*. A pair that consists of 2 cards that are the same rank and colour, but different suits. A Coloured Pair pays out at 12 to 1*. *nb payouts can vary slightly at different casinos. Blackjack Surrender is a standard version of 8 deck Blackjack, but with the option of being able to surrender your cards before playing. The Surrender option is available to players after the first two cards have been dealt. On surrendering the hand, half of your stake is returned to you. Surrender is a 'way out' of having to play a poor hand against a strong dealer's hand. Blackjack Surrender has no side bets. 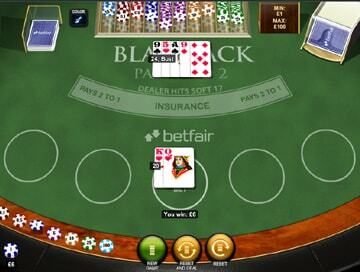 Blackjack Switch is an intriguing variation on the standard game. Played with either six or eight decks, the card values and options to Hit, Stand, Double or Split are the same as in standard Blackjack, but there the similarities end! The 'House rules' i.e. the way the dealer must play their hand are different in Blackjack Switch in terms of payouts, losing bets and when the dealer takes a card (see 'Dealer rule exceptions' below). But the main difference in Blackjack Switch is that you play two hands - and can switch the top card of each hand before you play them!. This means, of course, that you have to place two bets, one on each hand, but the ability to switch cards can considerably strengthen one or both of your hands before you start to bet. Example: let's say you were dealt 7♥ 9♦ on your left hand and 10♦ 7♣ on your right. You could switch the 7♥ and the 10♦ to form 10♦ 9♦ on the left (hand total of 19) and 7♥ 7♣ on the right (which you could Split). You then play your two hands in turn – the right first, then the left, before the dealer plays his hand. The dealer always hits soft 17 – i.e. he always draws one more card when he has 17 (Ace counts as 11). 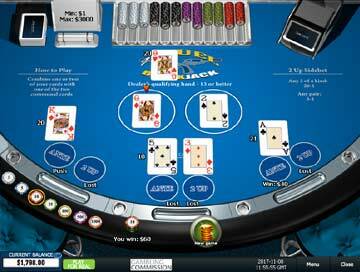 Blackjack pays 1:1 instead of 3:2. The dealer pushes on a total of 22 against a player total of 21 or less. (nb player Blackjack still wins). In Double Exposure (also known as Face-up 21) Blackjack, both dealer cards are dealt face up! The game is played with 6 regular decks, which are shuffled before each game round. 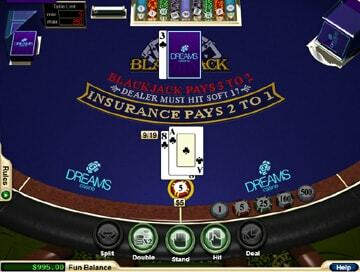 Card values, options to Hit, Stand, Double or Split, are the same as in standard Blackjack, as are the 'House rules' i.e. the way the dealer must play their hand. The payouts differ slightly (see below) but that's fair enough, given that you get to see both of his cards before you bet! Dealer wins all ties except natural Blackjacks. The only other important rule change is that when the dealer is forced to stand on the first deal, the game automatically hits for you until you win or bust. When the dealer is not forced to stand on the first deal, you can hit or stand as per the normal game. Double Exposure / Face-up 21 Blackjack has no side bets. 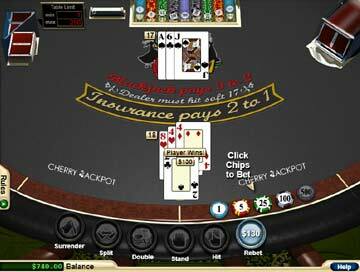 21 Duel is a fascinating version of Blackjack, that also has some gameplay in common with Texas Hold'em Poker. Card values are are the same as in standard Blackjack. However, unlike standard Blackjack, all hands with a total of 21 are equal (Ace and Ten is the same as a three-card 21). You also have fewer betting options. At the start of the game, you place a bet on the 'Ante' circle. You also have the chance to place an optional separate bet on the 2 Up sidebet (see below). You're then dealt two cards - one face up and one face down. The dealer is dealt two cards, both face down. Two more cards are then dealt face up in the middle of the table. These are the communal cards and both you and the dealer use them to make up your final hand. Fold – end the round. Left card/Right card – select one of the two communal cards to use with your face-up card. If you Fold, you lose your Ante bet. 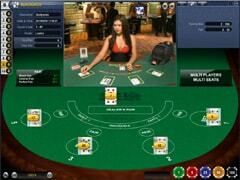 If you choose to play, an additional bet equal to your Ante bet is placed on the communal card. Hit – turn your face-down card and add it to the hand. Stand – discard your face-down card and keep playing with the two card hand. This is the end of your betting turn, so all your choices have to be made before you see the dealer's hand. This makes it very difficult to use a standard Blackjack strategy in 21 Duel. The dealer now reveals one of his cards and chooses a communal card. When choosing the communal card, the dealer must create the best possible hand according to the House Way. This is always detailed in the Game Help, although you don't need to know or understand it in order to play the game. It may just help you to know why the dealer made his choice! nb If the dealer’s hand is worth less than 13 points, the dealer doesn’t qualify and you win the round, even if your point total is lower than the dealer’s. In this case, you win even money on your Ante bet, and push on the 2nd bet. If your point total is higher than the dealer’s, you win 1:1 on both the Ante and the additional bet. If your point totals are equal, both of your bets are returned to you. If you bust (ie your point total goes over 21), you lose both the Ante and the additional bet. If the dealer’s point total is higher than 12 and higher than yours, you lose both the Ante and the additional bet. If you placed a 2 Up side bet and chose to Fold, you will still get your winnings. 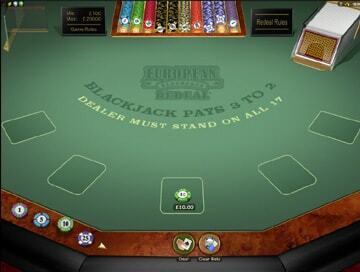 Double Attack Blackjack is a variant that allows you to 'Attack' the dealer when you think they have a weak hand! Unusually, the game is played with eight 48-card Spanish decks, meaning all the tens have been removed. Face cards still count as 10 and Aces are 1 or 11, just as in standard Blackjack. Some of the rule variations make it seem complex at first, but once you start to play, it's really easy to understand. At the start of each round, you place your main bet. You also have the option to place a Bust It! side bet (see below). The dealer is then dealt one card, face up. You do not receive any cards at this stage, so your first major decision is based solely on the strength of this one card. The Double Attack bet is an additional bet that you can place if you think the dealer has been dealt a poor first card. The Double Attack bet can be any amount up to the value of the initial bet. If you don't want to place the Double Attack bet, you can click on Skip. If you place a Double Attack bet against a face card or ace, and the dealer gets Blackjack, you only lose the initial bet - the Double Attack is returned to you. Three more cards are dealt in turn, with the first and the last card going to the player. The player's cards are dealt face up, the dealer card face down. You're now in a standard Blackjack betting situation, with decisions to make regarding the strength of your hand and assumptions about the dealer's face down card. You can Hit or Stand as normal, but you also have the chance to Surrender your hand (your hand automatically loses, but you get half of your initial bets back. The Bust It! side bet still stands). 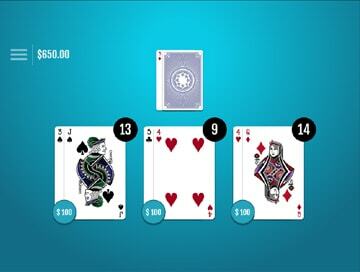 If you have a pair, you can Split it (except Aces) and then resplit up to four hands. And rather than Double Down, you can choose to double your initial bet AND the Double Attack bet. Unlike Double Down, where you only receive one more card, if you choose to Double, you receive as many more cards as you like! If you have more than the dealer, you win at 1:1 (if your bet was 10, you receive 20). Blackjack beats a score of 21, but still only pays out at 1:1. This is one of the downsides of Double Attack, but it's all factored in to the game play. If you've split, each hand is settled separately against the dealer's hand. If you've placed Double Attack bets on each hand, they win or lose separately, massively increasing your chances of winning big on an individual hand. The Bust It! side bet is a bet on the dealer going bust with exactly three cards. Unfortunately, unlike the Double Attack bet, you have to place it before you see the dealer's first card - it would just be too easy otherwise! Bust It! only applies to the dealer's third card. Even if he busts on the fourth or fifth card, the side bet loses. A few things to note: the Bust It! side bet game is settled even if the player chose to surrender in the main game, and in order to settle the Bust It! side bet, a third card is drawn when the total of dealer's cards is 12 to 16, even if the player is bust or has a Blackjack. 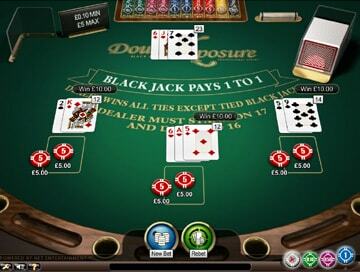 Blackjack Pro is a version of the game played with a single deck of cards, rather than the more common 6 or 8 decks. Single Deck Blackjack is an uncommon and well sought-after game in Vegas casinos, for one simple reason - it gives players the best chance to win! The House Edge (the casino's advantage) in standard Blackjack is around 0.6% (ie the casino expects to keep 0.6% of all money staked) which is the lowest of all casino games. In Single Deck / Blackjack Pro, the house edge is just 0.15%! This puts it as close to a coin toss as you're going to find on any game and almost puts you on a level playing field with the casino! However (you knew there'd be a but!) casinos will often try to tilt the playing field back towards them. The main way they do this is by paying out 6:5 on a Blackjack, rather than 3:2. This may not seem much, but that one simple change puts the house edge back up to 1.45%. Be very careful when choosing a casino to play Single Deck / Blackjack Pro - if they're not paying 3:2, go somewhere else. 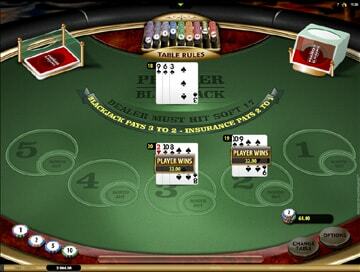 You'd be better using our simple 3-stage Blackjack strategy on a standard 6 or 8 deck game. Fortunately, the vast majority of our recommended Blackjack casinos who offer Single Deck / Pro also pay out at 3:2. That includes betfair, bet365, bgo, Bovada, Guts, Ladbrokes, Mandarin Palace and Miami Club. The only casino that pays out at 6:5 is 138, so probably best to avoid them for Single Deck. But all the rest are good to go - and all of them offer generous Blackjack bonuses for new players! Choose the variation you wish to play from the dropdown menu. 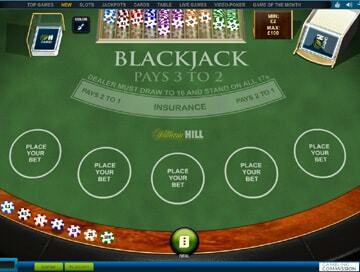 Check out the casinos below for the best Blackjack games currently available. Blackjack is the most popular game in the casino, and for good reason - it's simple to learn, but offers experienced gamblers the opportunity to refine a strategy that could give them the edge over the casino. A simple guide to playing Blackjack. An explanation of the rules, counting system and betting options - Hit, Stand, Double, Split, Surrender, Insurance etc. This Blackjack Basics guide is designed to get you up and playing in as short a time as possible. The 'perfect' Blackjack strategy has to cover every possible combination of cards. This quickly becomes hard to remember, especially under playing conditions. We've developed a simplified, easy-to-learn method that allows you to start with a basic strategy, suitable for most hands you'll encounter, then takes you step by step to a more advanced level, until you're playing like a pro. 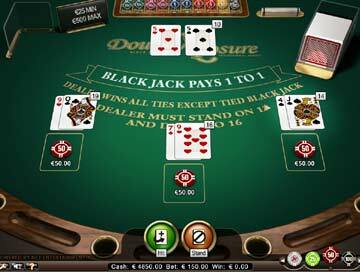 Practice your new-found Blackjack strategy skills on this free play game which you can play without downloading, on your mobile, tablet or desktop. You'll get 2,000 play money credits and as long as you want to practice! Once you've familiarised yourself with the rules of Blackjack on the free play Practice game, why not try playing with real Live Dealers? It's the most authentic casino experience you can get, without leaving your home! At our Live Casinos, you can always find a table to play at (or Bet Behind!) 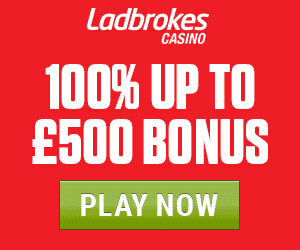 and place bets from as low as £1, right up to £5,000! Read through the articles above, practice until you feel coonfident, then head over to one of our casinos and play Live Blackjack now!